The latest update to the fastest-growing DAW on the market, PreSonus® Studio One® 3.5 includes 60 new features and enhancements, including several of the most requested new features from the Studio One user community. Studio One 3.5 introduces a completely revised Project page for mastering, no-holds-barred Mixer Undo functionality, and a powerful new, optimized, native, low-latency audio engine for unrivaled near-zero latency audio and virtual instrument monitoring with high-speed audio interfaces, such as the brand-new PreSonus Quantum Thunderbolt interface. We’ve also implemented a wealth of powerful workflow improvements, including extended Notion data-transfer options and the new Fat Channel XT plug-in for mix compatibility with the PreSonus StudioLive® Series III console/recorders.The Studio One 3.5 update is available free to all registered Studio One 3 users. With the advent of powerful high-speed Thunderbolt audio interfaces such as the PreSonus® Quantum, we are experiencing a new level of performance for computer-based audio production. In the past, you had to decide between hardware DSP-based, near-zero-latency monitoring and processing, with a limited set of DSP plug-ins; or software monitoring with complete freedom of native plug-ins and virtual instruments in a latency-afflicted audio environment. Either way it's a compromise. Using Studio One 3.5 with a high-speed audio interface eliminates the need for expensive hardware DSP by introducing native low-latency monitoring: completely redesigned audio engine latency-management that allows you to stay in the native processing domain throughout the entire production process. Bottom line: You get more performance and better stability. Even today – eight years after its initial release – Studio One Professional is still the only DAW on the market offering a full-featured integrated project mastering solution. With version 3.5, the Project page adds such important features as file-independent track markers, flexible loudness detection options, new Loudness and Spectrum meters, and much more. Undo Faders has been the most popular feature-request—and now it’s here! But we didn’t stop there: We implemented “undo” for the entire mixer, including plug-ins, instruments, routing, I/O selection, FX chains, and more. Mixer actions are now added to the Undo History like any other action. Just click Undo or go back and forth in the Undo History. It’s that simple. Instantly familiar—yet nothing feels like it. Studio One® 3 contains everything you’d expect from a modern digital audio powerhouse. Once you touch its fast, flow-oriented, drag-and-drop interface, you’ll realize Studio One® 3 was built by creative people for creative music production.At every step of the musical process, you’ll spend your time creating music instead of fighting a bloated interface. And the sound quality? Well, simply put, it’s unparalleled. In fact, the most common comments from musicians, producers and engineers who have switched to Studio One are “I can just get things done faster” and “Studio One just sounds better.” Let’s find out why. Starting a song isn’t enough. 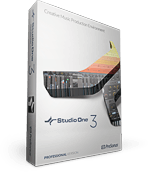 Studio One Professional’s Project page gives you the tools to not only finish your music but also get it out there. You can master your entire project with professional effects, metering, and tools. And you don’t have to wait until every song is finished to build your Project. With one click your Project updates to make sure you have the latest versions of each Song. If you decide a song needs changes while you’re mastering, simply click over to the Song page, make your edits, then jump back into the Project page—it’s that easy.The Project page is also where you embed crucial metadata; add album art; burn Red Book-compatible CDs; create DDP images; export WAV, FLAC, MP3, and other digital files; and even publish your music direct to fans on SoundCloud. If you’re just getting started making music, you won’t believe how easy Studio One is, but even the most seasoned pros need help from time to time. 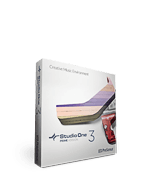 With Studio One 3 we’ve integrated dynamic, context-sensitive, tool tips and help that bring you the information you need, when you need it. Just hit F1 or hover over the area in question, and help is on the way. Studio One is used daily by hundreds of thousands of musicians, engineers, and producers worldwide. Just prior to the launch, we caught up with a handful of producers in Los Angeles who had advanced access to version 3 and the results were unanimous. Check out the video to see what they had to say.